Look across a sun-dappled clearing in the state forest not far from Newberry, and you’ll see some low-growing blueberry plants bearing ripe fruit and a sea of bracken ferns, with their leaves turning late-summer yellow. 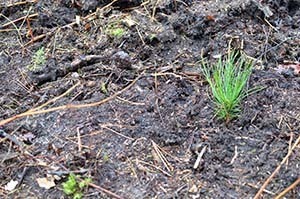 Look a little closer, and you’ll find the forest of the future: an army of red pine seedlings scattered under the ferns — rich green needles feathering from tiny twigs. 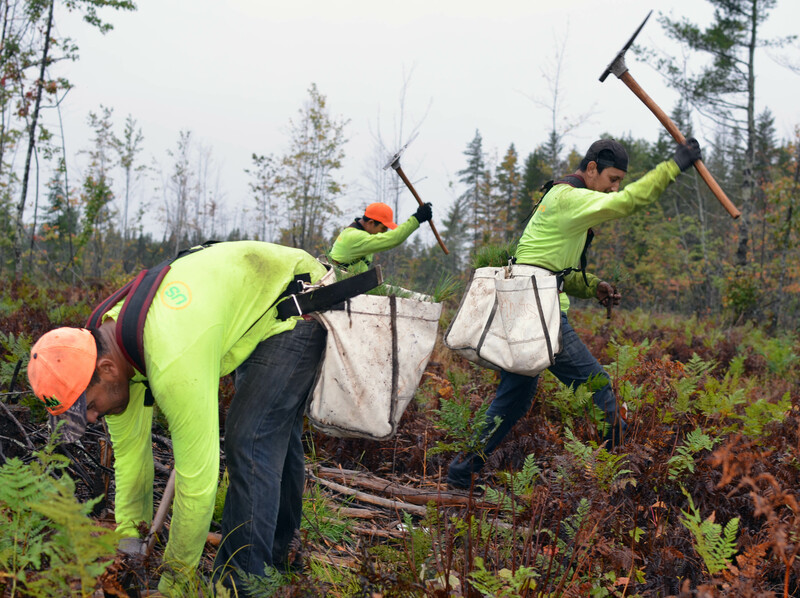 Foresters for the Michigan Department of Natural Resources had hoped seeds from neighboring trees would sprout there after the land was cleared, a process known as natural regeneration. But not enough of the seeds found a toehold in the sandy soil. So DNR staffers decided to help them out a little bit. They used heavy equipment to drag large-link chains weighing up to 7,000 pounds each across the soil, loosening the surface and giving the seeds a softer place to take root. 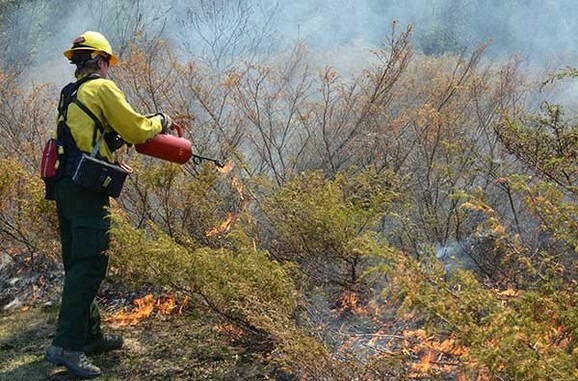 They also describe how firefighters carefully set fires, known as prescribed burns, to control invasive species, create wildlife habitat and prevent future wildfires. Finally, the terms describe how forests are mapped and monitored throughout the growing cycle. When the earliest European settlers arrived in Michigan more than 300 years ago, they described a land so heavily forested that trails disappeared into trees so thick that water was the easiest way to travel. By the early 1900s – after decades of Michigan leading the nation in lumber production – most of those forests were gone. The Michigan Department of Conservation – the predecessor to the DNR – was founded in 1921, in part, to lead the effort to rebuild the forests. It worked, and the seedlings will tower over the ferns within a few years. The process of churning up the soil to aid seed growth, known as scarification, is among many techniques the DNR’s Forest Resources Division uses to ensure that Michigan’s 4 million acres of state forest thrive into the future. The buzzword for this long view of maintaining forests is “sustainability,” and the process is known as “forest management,” but those terms aren’t really that important. What they describe is. These terms describe how DNR forest staff carefully chooses which forests will be thinned or cut to promote tree health, fight insects and disease, or provide optimal habitat for species ranging from the elk to the tiny Kirtland’s warbler. Michigan’s state forest covers 4 million acres of the northern Lower Peninsula and the Upper Peninsula. Much of that land came back to the state after homesteaders, often lured by advertisements boasting of good farming opportunities, failed to make a go of it in sandy soils unsuited for cash crops. Since those early days, the DNR has used the best science available to replenish and maintain state forests. By 1931, a state tree nursery near Higgins Lake had shipped 22 million seedlings out for planting. A survey conducted this summer by the DNR showed that nine out of 10 residents believe Michigan’s forests help keep air and water clean, keep the state beautiful, provide habitat for wildlife and offer a backdrop for a host of recreational activities. Michigan’s forest management is certified by two separate organizations — the Forest Stewardship Council and the Sustainable Forestry Initiative. The stewardship council honored the Michigan DNR last year for being an early adopter of sound forest management practices. 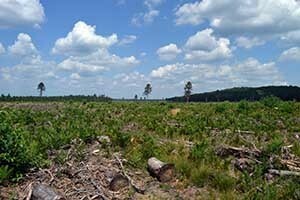 About 60,000 acres of state forest are harvested each year for timber, which is less than 2 percent of the total forest. 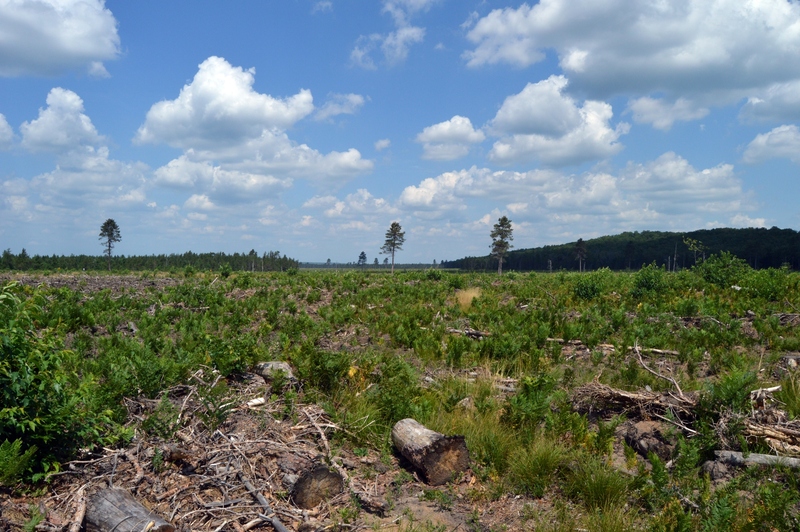 Often, logging projects go hand in hand with efforts to create habitat for wildlife. 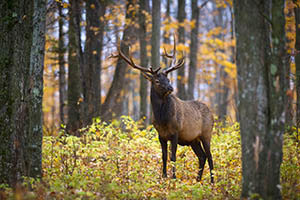 The elk, whose bugling draws visitors to the Pigeon River Country State Forest, for example, need open space to thrive. Elk will feed on young aspen trees for five to eight years, then other species such as American woodcock, ruffed grouse and various songbirds will benefit in succeeding years. The goal in Pigeon River Country is to maintain a mix of young, middle-aged and mature forests. About a quarter of the forest is currently young aspen cover. “There’s a mosaic on the landscape that is constantly in the process of aging, being cut, starting over and growing up,” Whitcomb said. He admits it can be shocking to pass by an area that has recently been clear-cut, but within a year or two the new tree growth takes over. It seems like the opposite of what a DNR firefighter should be doing: wearing fire-protection gear and walking along the edge of a woodlot with a drip torch, dropping burning fuel into dry grass. Fire also can help eradicate invasive species that crowd desirable native plants out of Michigan landscapes. “A lot of non-native species can’t tolerate fire, and that’s why we remove them with fire,” he said. Another thing fire can be used for is to help create habitats for some of Michigan’s endangered species. The tiny, thumbnail-sized Karner Blue butterfly, for example, lives only on lupine plants on small parts of Michigan’s landscape. Fire activates the reseeding process for lupine. After devastating fires in the late 1800s and early 1900s, land-management agencies took an active stance against fire. That led to a buildup of dry fuels in the woods, which made forest fires even worse. Today, the DNR also uses prescribed burns to get rid of underbrush and deadwood that serve as fuels for wildfires. The DNR burned just over 5,900 acres this year, carefully and judiciously. Burns are cancelled if weather is windy or conditions are too hot and dry. “We’re doing it in a controlled way, and only in certain areas where biologists and wildlife experts feel it’s needed,” Rogers said. Check out a cool page about prescribed burns. To learn more about how and why the DNR manages Michigan’s state forests, visit michigan.gov/forestry. /Note to editors: Contact: John Pepin, Showcasing the DNR series editor, at 906-226-1352. Accompanying photos and a text-only version of this story are available below for download and media use. Suggested captions follow. Credit: Michigan Department of Natural Resources, unless otherwise noted. 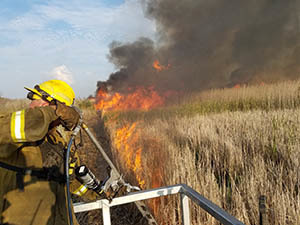 Burn: A prescribed burn to control phragmites is under way in this photo. 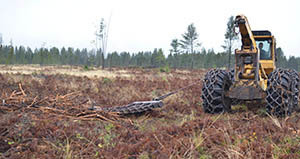 Clear-cut: The scene after a timber crew conducted a clear-cut. 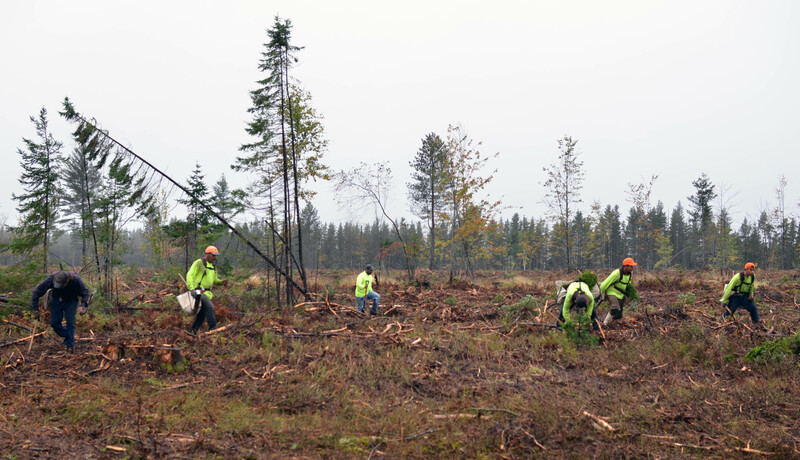 Crew: A crew of migrant workers replants a clear-cut area in Marquette County. Elk: Elk are one species in Michigan that benefits from forestry prescriptions on the landscape. Fire: A firefighter lights a prescribed burn in Delta County. 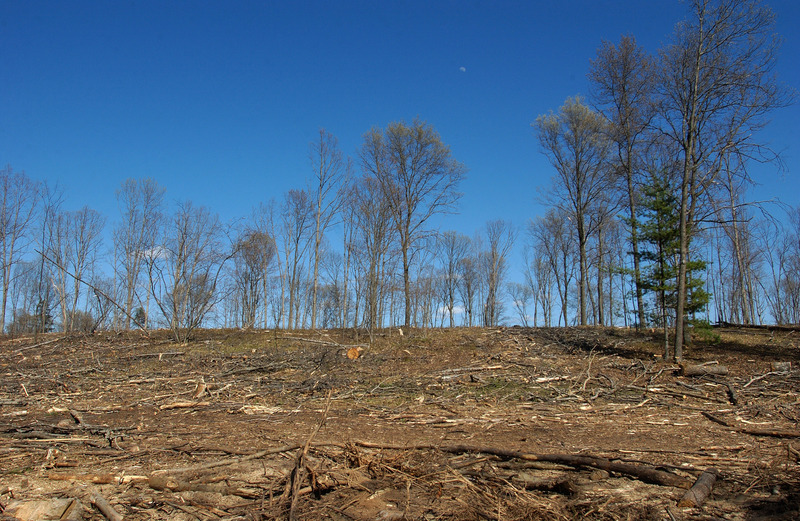 Regeneration: Trees and other plants regenerating at the site of a clear-cut. Scarify: A heavy equipment operator works to scarify the soils on a former jack pine stand. Seedling: A seedling planted that day will regenerate to a tree as part of a future forest.